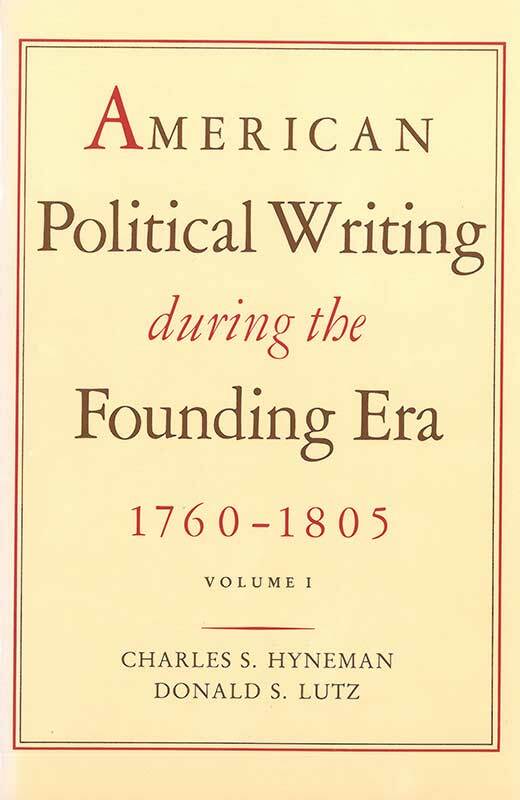 This selection of essays, pamphlets, speeches, and letters to newspapers written between 1760 and 1805 by American political and religious leaders illuminate the founding of the republic. Many selections are obscure pieces that were previously available only in larger research libraries, but all illuminate the founding of the American republic and are essential reading for students and teachers of American political thought. The second volume includes an annotated bibliography of five hundred additional items for future reference. The subjects covered in this rich assortment of primary material range from constitutionalism, representation, and republicanism to freedom of the press, religious liberty, and slavery. Charles S. Hyneman was Professor Emeritus of Political Science at Indiana University before his death in 1984. He was a past president of the American Political Science Association. Donald S. Lutz is Professor of Political Science at the University of Houston.